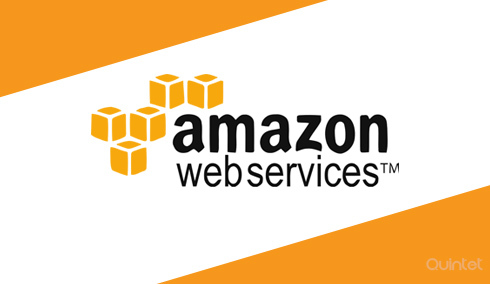 Amazon web service (AWS) is a collection of remote computing services which altogether constitute of the cloud computing platform which is provided over the internet by Amazon.com. Some of the most popular services offered by Amazon.com are Amazon EC2 and Amazon S3. The cost effectiveness of AWS is one of its main unique selling propositions. You just pay for what you use. Amazon web services build and manage a global infrastructure at scale and pass on the benefits to the client at unbelievably low prices. Over the past 4 years, because of Amazons efficiency and popularity the prices have been lowered on 15 different occasions. AWS is a huge global cloud infrastructure that allows us to quickly innovate and experiment. Making and end to the endless waiting for hardware faced in the past, AWS allows immediate deployment of new resources instantly as your workload increases or grows. This is why we say AWS is elastic. You can scale up and down, based on your demand. Your requirement may be just one virtual server for long period of time, or numerous servers for few hours. Needless to say, any custom requirement can be fulfilled within no time and you just pay for what you use. This flexibility makes AWS so popular. A flexible cloud computing platform is what AWS offers. Business needs can vary and it can go off the limits with exponential growth. Here AWS acts as a flexible solutions meeting your expectations without any hindrance to the service. Selecting the services required and adding resources to support the growth of the business and above all, letting you configure the service to suit your need makes it the most flexible cloud solution available. Avoid worries about your IT infrastructure you can concentrate on the business part. AWS is a secure, durable technology platform with industry-recognized certifications and audits: PCI DSS Level 1, ISO 27001, FISMA Moderate, FedRAMP, HIPAA, and SOC 1 (formerly referred to as SAS 70 and/or SSAE 16) and SOC 2 audit reports. Amazon’s services and data centers have multiple layers of operational and physical security to ensure the integrity and safety of your data. Quintet provides timely support for all Amazon web services like Xen based Cloud computing, Amazon EC2 and Amazon S3. We provide efficient systems administration that helps in quicker Cloud service and AWS related problem resolutions and access to experts whenever needed. Are you planning to switch to Amazon web services or Cloud based system? Quintet ensures a sleek Cloud server migration from all UNIX based server platforms.Customers can schedule server migrations at their own convenient time frame as our team will be available around the clock. Quintet, designs and implements AWS based API (application programming interface) for our customers. Our programing team is always ready to design any difficult API for your business requirement. Our 24/7 Technical support team can guarantee your data protection and proper working of application Interface. Our Cloud computing experts are out there 24/7 to help you with all of your AWS server management needs. We offer timely solutions for all cloud based installations, networking, and management.